Growing up in Brooklyn, I didn’t enjoy many nature-driven outings unless we took the occasional family trip to the park or a drive to Upstate New York. I’d heard about Lake Placid and the Adirondack Mountains but it was one of the many regions of New York that seemed so far away. Lake Placid is in fact, 300 miles from Brooklyn, a cool five-hour drive. If you drive further East along the 95 corridor, you actually pass through four states before you are parallel to Lake Placid, Adirondacks. My family wasn’t the outdoorsy type so my parents never did any vacation planning to wilderness-centric destinations. There was so much I didn’t know about New York. It wasn’t until I went to boarding school in Connecticut that I was able to participate in outdoor activities which didn’t offer a hard greeting of concrete. Once I got to college in California, I had acquired an appreciation for the outdoors. Traveling to friends’ homes in Oregon and Washington for school vacations, I always thought we New Yorkers were missing so much. Avalanche Pass – what a name! I soon learned it wasn’t “New Yorkers” that were missing so much, just the small percentage of us that chose not to venture into the wide open area of our great state that offers more beauty than cold high rises and skyscrapers. An estimated 7-10 million visitors travel to the Adirondacks region annually. Don’t need to be on an Olympic team to try this out. The Adirondacks is a 6-million acre area rich with Olympic tradition. More significantly, and based on research from the region’s CVB, people visit the Adirondacks for its outdoor recreational opportunities. It’s the premier natural setting for hiking, boating, ice-skating, snow-shoeing, fishing, cycling, hunting, skiing, mountaineering enthusiasts on the East Coast. Did you know that the Adirondack Park is larger than Yellowstone, Everglades, Glacier and Grand Canyon National Parks combined? Whiteface mountain – the West isn’t the only place with gorgeous mountain topography. Remember what I said about thinking we New Yorkers were missing so much when I drove through Oregon and Washington? Talk about not appreciating what’s in your own backyard! In that same vain, if you live on the East Coast and you want to plan a vacation for that perfect winter getaway, you don’t have to schlep all the way to Colorado, Utah, or Nevada. You can “Stay & Play in the Snow” in Lake Placid. The village as well as the rest of the Adirondacks offers a nice selection of winter travel opportunities. Snowboarding is my favorite winter activity but I also like iceskating, cross country skiing and dogsledding. 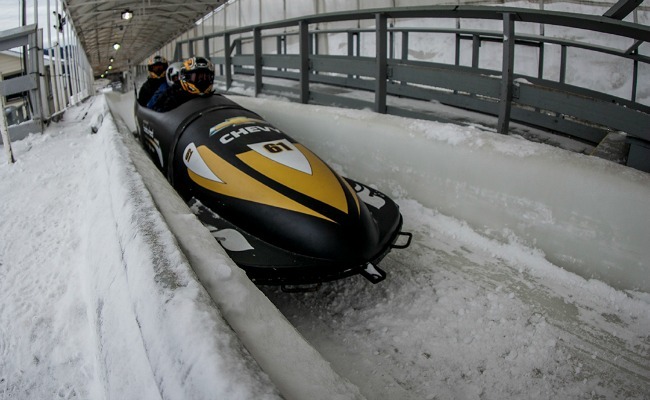 I would love to try bobsledding as its not an activity that’s available in many places. There are only two tracks in the U.S. like the one in New York’s Adirondack Pack, and only four in North America. With my recovering knee, I’d be participating in a little après ski. The best part of a “play in the snow” getaway (hurt or not) is either cozying up to a fireplace with a warm cup of hot cocoa or relaxing in the stillness of a spa. What’s your favorite winter activity on the list? Are you ready to head to Lake Placid Adirondacks, USA? I know I am! Let me know if you need help planning your trip or enter for you chance to play in the snow in Lake Placid: http://bit.ly/15Ik819. It’s a wonderful winter getaway for two that I’m sure you’ll love. No purchase necessary (although I would love for you to send me pictures)! Disclosure: As a brand ambassador with Lake Placid, Adirondacks USA, this content was written in conjunction with the “Play in the Snow” winter vacation campaign. All opinions expressed are my own. 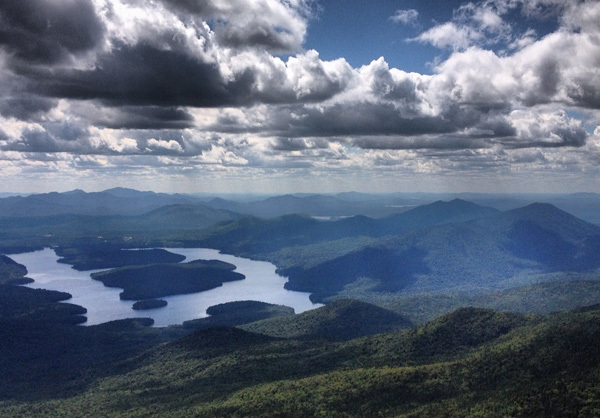 My sister used to train in Lake Placid – looks as awesome as she described! Oh wow Cat! Which sport? I’d love to try out that bobsled run. I’ve been to some areas of the Adirondacks, but never Lake Placid–so I’m entering the contest now! Isn’t it gorgeous? Good luck to you! These photos are so beautiful! I’d be very interested in visiting Lake Placid in the future, despite the fact that I’ve only skied once in my life and it terrified me! Oh Lillie but there’s so many other activities you can do. Bobsledding? Dogsledding? Iceskating? And the list goes on! I have always wanted to visit Lake Placid. It’s not even THAT far from me, either. It’s definitely far from me but it is gorgeous and all I can think about is dogsledding, hot cocoa, and walking through all that snow! I’m more of a beach person than a snow person, but Lake Placid looks beautiful!! You can enter the contest and maybe head up during the summer when it’s warm. I would love to go dogsledding! 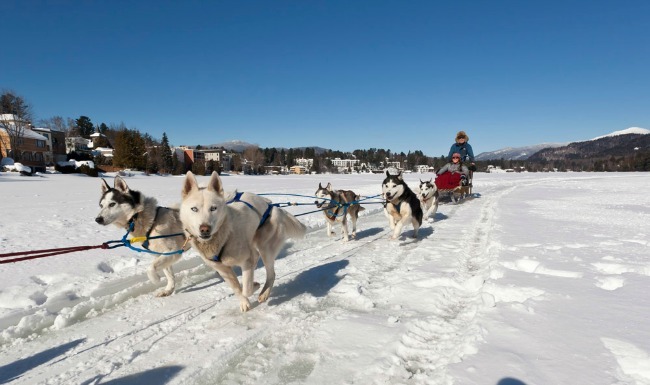 It’s definitely on my bucket list…and so is a trip to Lake Placid! It is a lot of fun Jessica. I have heard great things about Lake Placid and would love a trip there. would love to visit here. what a trip it would be. What a beautiful place to vacation! I’ve never actually visited the Great Lakes, but this certainly makes me want to. What a beautiful place. Not sure I would ever go because I do not like snow. I really enjoy looking at pictures, though. LOL! I hear you loud and clear Jennifer. I like it for a spell and then I need to get inside and warm up. I would love to go to Lake Placid sometime! Anytime of the year is a good time to go Heather. Those are some amazing pictures. I’d love to see a real life dog sled pull. I went dog sledding in The Pocono Mountains. Wonderful experience with the family. Cold though. Loving these beautiful pictures and ha-ha, the dog is like I will slow just enough for a pic. Isn’t that shot of the dog awesome? His eyes are so focused on the lens. The photos are gorgeous and make me want to plan a trip! I would love to go dogsledding! I would love to go there with my family. My kids have never seen snow before, they would have a blast. I have never seen snow before! I wouldn’t know what to do with it if I had the chance! Oh how fun! I’d love to travel to snow with someone like you who’s seeing it for the first time just to see your reaction. Lake Placid is definitely on my list for travel. What fun! Excellent! Go when there are deals…like now! I hate the cold. However, I must admit this looks like a beautiful place to visit. I will not go, but I will recommmend it to my friends. Hahaa! That’s okay Janeane. I totally understand that. They are a good destination to visit all year round. Thanks for stopping by. Wow, beautiful pictures. Thank you for sharing. Thank you for checking it out Censie! Now, bob-sledding. There’s something I’d love to do! I want to try it as well! Thanks for sharing all of the wonderful activities Lake Placid has to offer. Bret has been itching to play in the snow and the Adirondacks looks like it has it all! Oh wow, then you all need to take a little trip up to the Adirondacks. It has a lot to offer for snow lovers. Wonderful website. Plenty of useful information here. thanks on your sweat!